The MercedesTrophy 2018: putting the facts straight! The 2018 BeNeLux edition brought together a record 3,200 players playing in one of the 28 qualification rounds and season final, spread over 15 tournaments and 37 game days! All players were treated to superior catering, a club cleaning service, a carwash, champagne degustation, … Before and after the MercedesTrophy season, players were well looked after. When there was no swinging, WAVE provided all players with relevant, well-timed updates: invites, schedules, reminders, photos, results of their swing analyses, … to keep them involved and engaged in the hope of welcoming them back the following year. To expand the networking part of the tournament (read: make the MercedesTrophy equally about swapping business cards as showing off score cards) WAVE instigated the ‘shotgun’-formula, which enables the competitors to spend more time together on and off the course. 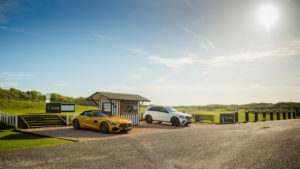 Networking and golf really are a match made in heaven confirms, WAVE’s project manager Nicolas Herbert, and golfer himself: “Playing golf is the best way to talk business. Players spend 4 to 5 hours together on the course. While playing golf, you get to know each other’s strengths and weaknesses. How do you handle stressful situations? Deal with a windfall or setback?” Networking with the aim of creating new business between MercedesTrophy players is a key factor in the success of this tournament series, but this formula also has a nice B2C swing to it. All guests of the MercedesTrophy are personally invited by Mercedes-Benz concession holders and partners, all Mercedes-Benz drivers or potential Mercedes-Benz drivers! This year, no less than 223 potential drivers signed up for a test drive. 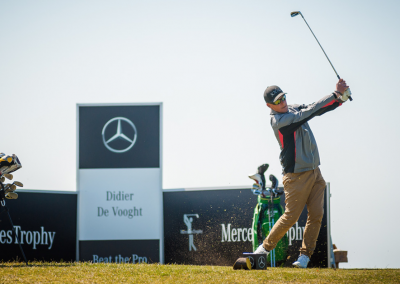 In 2019, WAVE and Mercedes-Benz, will continue to broaden their golf horizon to present the best possible MercedesTrophy 2019. And who knows, some Mercedes-Benz After Work Golf games are flying over? 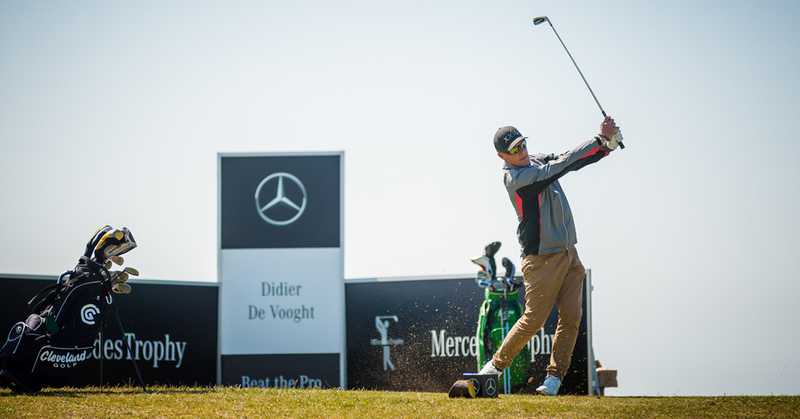 More on mercedestrophy.be Sponsors MercedesTrophy: Hewlett Packard Enterprise, Laurent Perrier, Misanet, AG, Baobab, Jules Destrooper, Vitamin Well, JuCad,Infradata and Mercedes-Benz Financial Services Looking to collaborate and introduce your brand to thousands of potential customers in a unique setting? Contact us!